TrackID is a music recognition app that can find out a song’s whereabouts just by listening to it for a few seconds. Now, whenever you come across a really soothing music that rocked your mind, regret no more that you can’t find the track and the musician. If you are a smartphone user, it only takes seconds to find out everything. The app was created by Sony exclusively for their smartphone while the journey began; however later on the app had been released for every smartphone in the Google Play Store. Sony smartphones still get few more features than other smartphones, yet the general version is pretty good. It works efficiently. 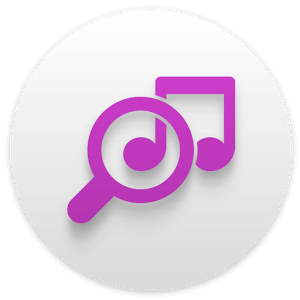 To recognize a music track, this app takes a snippet of the music track first through the on-board microphone. It is mandatory that the sound is clear enough and no background noise should mix in. TrackID would record the snippet and at the same time will keep running the captured snippet through the database. It usually takes only a few seconds to recognize a track based on its availability on the server; but in cases where the snippet is slightly distorted or contains few background disturbances might prolong the process. If there are too many distractions on the snippet, TrackID might not be able to find a match. On Sony smartphones, snippets can be captured directly from the FM radio. The default music player has a TrackID button; or the TrackID capture music button also does the job. Tapping it would capture a specific length snippet and run it through the servers. This feature has been added in the latest versions. The snippets will be captured in a specific length and stored in the phone memory until TrackID can connect to the internet and check for a match. Music matching is a difficult job, especially if there’s no solo music database already built. TrackID uses Gracenote’s music server for precision; and this has achieved the highest possible accuracy. In very rare cases TrackID ends up finding a wrong match. Fast and responsive, combined with an easier user interface – no wonder TrackID is so popular among its users.